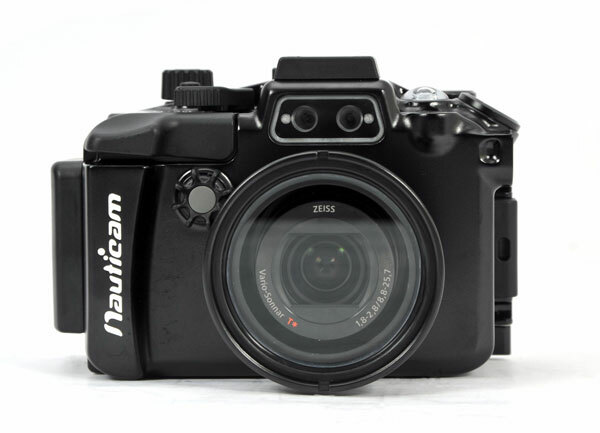 Nauticam has announced their housing for the Sony RX100 IV compact camera, available August 3, 2015. 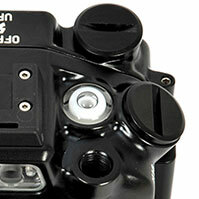 The NA-RX100IV housing is the ultimate refinement of three RX100 camera housings made before it. The Sony RX100 IV has taken yet another major step in the world of compact cameras. Highlights include 20MP still images, ability to shoot 4K video, 5x faster processor than the RX100 III and super slow motion video at up to 960fps (40x slow motion). Check out the Sony RX100IV specs. 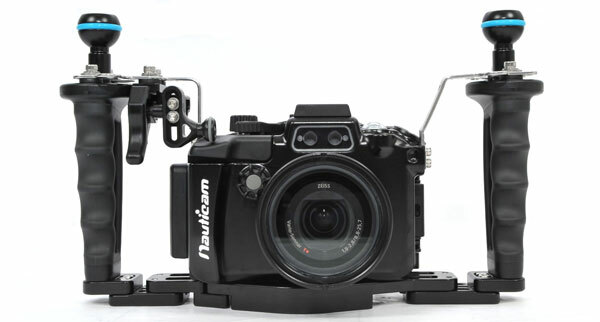 Nauticam is pleased to announce the release of its newest aluminum underwater camera housing for the Sony RX100 IV. Three years ago Sony redefined the advanced compact camera with RX100, and the subsequent iterations of RX100 II and RX100 III went on to forge a completely new category. The NA-RX100IV housing provides the ergonomics, build quality, and innovative feature set our customers demand in a tiny, travel friendly package. The Sony Cyber-shot DSC-RX100M4, is the fourth in this series of advanced, large sensor compact cameras that have been hugely popular with underwater enthusiasts. The familiar body style and fast, optically superb 24-70mm zoom lens are retained from RX100 III, but paired with an entirely new 20.1MP 1" Exmor RS sensor. Exmor RS sensors use a construction method never seen before on a sensor this size that provides more than 5 times faster readout than the Exmor R sensor used in RX100 III. 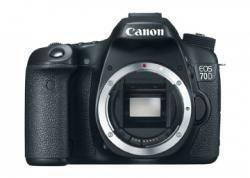 This translates into much faster continuous shooting speeds, faster more accurate autofocus, and an electronic shutter capable of achieving incredible speeds up to 1/32,000 sec. 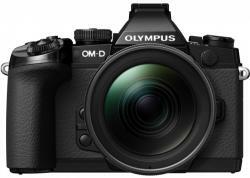 Movie functionality in RX100 IV is tremendously improved over previous models. It is the first in the RX100 series to feature Ultra High Definition Video (3840x2160 30p), and High Definition Video (1920 x 1080) at up to 120 fps. Video is recorded in the high quality XAVC S format at up to 100Mbps. A new high speed video mode allows slow motion capture at up to 960 fps! 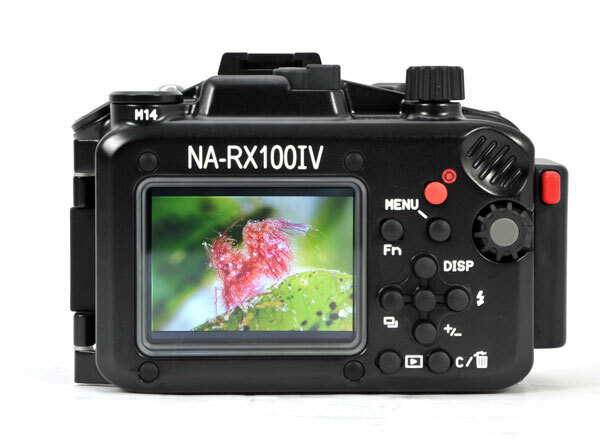 The NA-RX100IV sets a new standard for compact camera housing design. It is the ultimate refinement of the three models that came before it, with ergonomics, reliability, and control access improved in each new product. Nauticam designs are always improving, and new features integrated into each new release. The ergonomic experience has been tailored for a photographer's right hand on the side of the housing, placing key controls literally at the users finger tips. 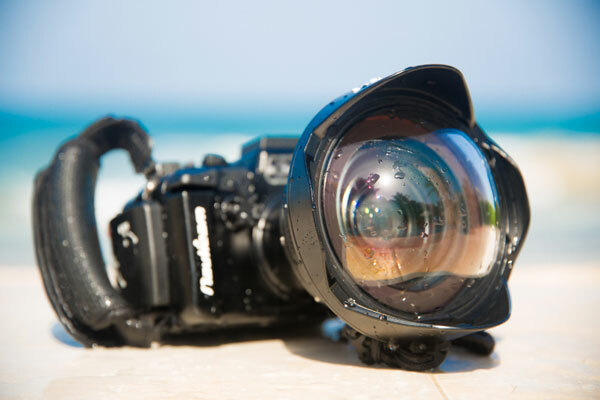 Some users, especially those wearing cold water gloves, prefer shooting from handles such as the Nauticam Flexitray and Easitray. To better support this style of shooting, a set of stainless steel handle brackets and new mechanical shutter release trigger extension is included with every housing. New Trigger Release Extension! 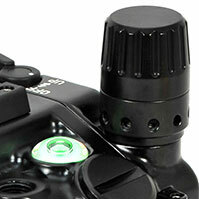 Ergonomic shutter release access when using a Nauticam accessory tray and handle system. The features you'd expect are certainly present, like ergonomic design, the clearly labelled controls, sculpted shutter release and more. A updated fiber optic connection block is standard, as is the built-in vacuum check and leak detection system. Two accessory bulkhead ports support HDMI cables for an external monitor and the vacuum valve. The NA-RX1000IV is milled from a block of solid aluminum, then hard anodized. The result is a rugged and reliable piece of gear that will stand up to saltwater and the daily rigors of diving. Since the housing accesses all of the camera controls, including the front control ring, the user can take advantage of the enhanced programmability in the RX100 IV. 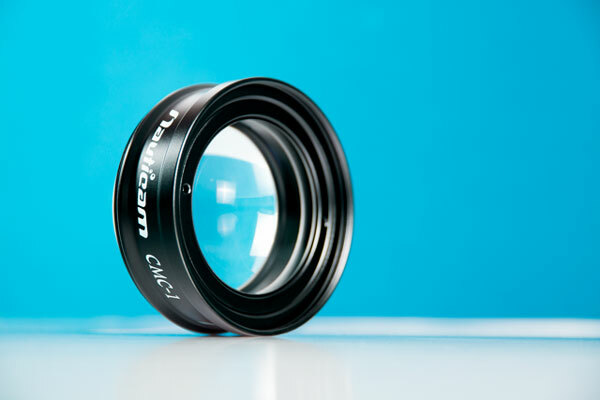 On the macro end, the Compact Super Macro Converter (CMC) is the ideal choice and enables a subject 35mm wide by 23mm tall to fill the frame. This is over 4x magnification provided by the stock lens (stock lens images 160mm wide, CMC 35mm wide). This completely sealed and underwater mountable optic is designed to be used in water - with the refractive index of optical glass to water accounted for at every step in the design process. Optimized for best wide angle performance at the 28mm equivalent focal length, the lens offers 130° diagonal field of view with low distortion, extremely high overall sharpness (especially in the corners), excellent contrast, and resistance to flare. The engineers at Nauticam managed to squeeze in the Nauticam vacuum monitoring and leak detection electronics. By default, it serves as an audible and visual leak detector, but add a Nauticam M14 Vacuum Valve, (p/n 25611) and it becomes a vacuum check system. 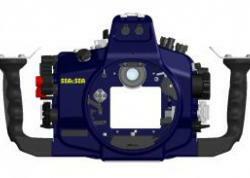 The vacuum monitoring system provides early warning for any problem with watertight integrity - which means peace of mind when shooting underwater. The RX100 IV now supports XAVC S Ultra High Definition (3840x2160) 24P/25P/30P video at up to 100 Mbps, as well as HD at up to 120 fps! Focus peaking and zebra lines are available to assist in confirming sharp focus and correct exposure. SLog2 Gamma is also available for professional color grading applications. 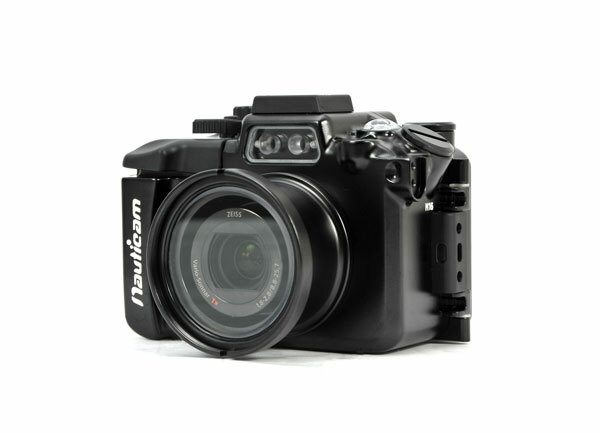 The standard NA-RX100IV housing supports HDMI out, via an optional HDMI bulkhead connected to the M16 accessory hole in the front of the housing. 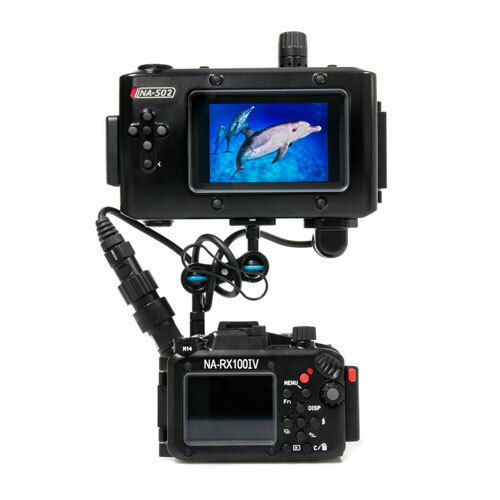 This means that the underwater videographer can use the excellent SmallHD 501 or 502 Monitors (in the NA-502S housing, p/n 17907), the Atomos Ninja 2 Recorder (NA-NINJA2 housing, p/n 17902), or even the Atomos Shogun UHD Recorder (Nauticam Housing p/n 17904). The RX100IV camera offers "clean" HDMI output, allowing high bit rate Apple ProRes recording at up to 4k 30P with Shogun. These monitors all provide a large, high quality display for judging focus and exposure, and the recording options available in the Atomos products unlock low compression recording formats for professionals.